Sony has launched a new SD card, the Sony SF-G and the company are claiming that this is the world’s fastest SD card. 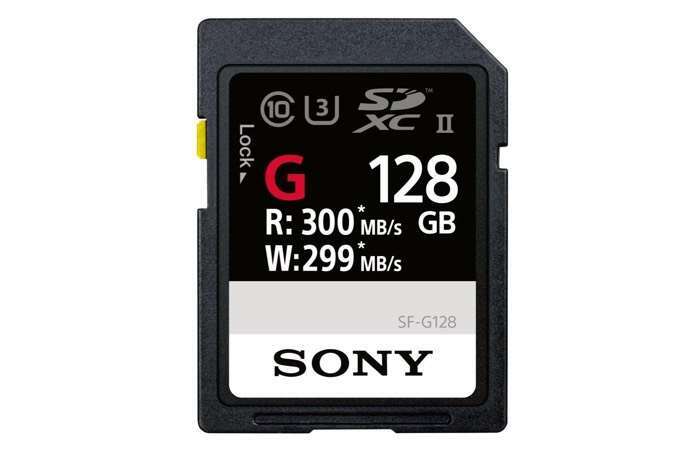 The Sony SF-G comes with a write speed of up to 299 MB/s and read speeds of up to 300 MB/s making it the fastest SD card available on the market. Sony is increasing the speed and efficiency of their SD card lineup with the new SF-G Series. As performance demands and file sizes continue to increase, the SF-G Series of SD cards offer enhanced features optimized for professional photographers, DSLR and mirrorless camera users and videographers. With a write speed of up to 299 MB/s, enabled by Sony’s unique firmware, the SF-G Series will be the world’s fastest SD cards. The quick write speed supports maximum performance of digital imaging devices, contributing to longer continuous shooting of high-resolution images with UHS-II supporting cameras. It also contributes to a shorter buffer clearing time so users never miss a critical moment. You can find out more details about the new Sony SF-G SD card over at soon at the link below.